Oct. 23, 2017, Provo, Utah – BYU Broadcasting today announced plans to consolidate its television operations, BYUtv, KBYU Channel Eleven and BYUtv International, into one, nationwide television network. Similarly, BYU Broadcasting said it plans to consolidate its radio operations, BYUradio (on SiriusXM Satellite Radio) and KBYU-FM/Classical 89, into a single radio network. The changes will take effect on July 2, 2018, at which time BYU Broadcasting will center all its resources and attention on two closely-correlated, multiplatform products, BYUtv and BYUradio. In the Utah market, KBYU Eleven is currently available in HD across all platforms, including over-the-air, and on cable and satellite, while BYUtv is only available in HD on some of these platforms. Beginning in June, BYUtv will enjoy full HD availability on all platforms across Utah through KBYU’s broadcasting license. With this change, KBYU Eleven will no longer be a member station of the Public Broadcasting Service (PBS). Going forward, BYU Broadcasting will also continue to invest in and expand its Spanish-language content for audiences throughout Latin America as well as domestically in the United States. BYUtv International, which had limited distribution across Latin America, will discontinue over-the-air, satellite and cable broadcasts. This will enable BYU Broadcasting to further invest in international content available over its state-of-the-art streaming services offered at BYUtv.com. These changes will allow BYU Broadcasting to streamline and utilize all employees and internal resource services for two media portals instead of five. This change will not require a reduction in force. BYUtv’s original programming, including Studio C, Granite Flats, Random Acts, American Ride and Story Trek as well as original music specials, feature films, docudramas and sports programming, has garnered 77 Emmy Awards over the last six years. At the same time, BYUradio has continued to grow its nationwide audience on satellite radio by offering more than 3,000 hours of original content each year, including unprecedented growth in podcasts. BYUtv is the only national network originating from Utah and creates more original entertainment and live sports content than any other channel in Utah. Likewise, BYUradio is the only Utah-based radio service available nationwide on SiriusXM. 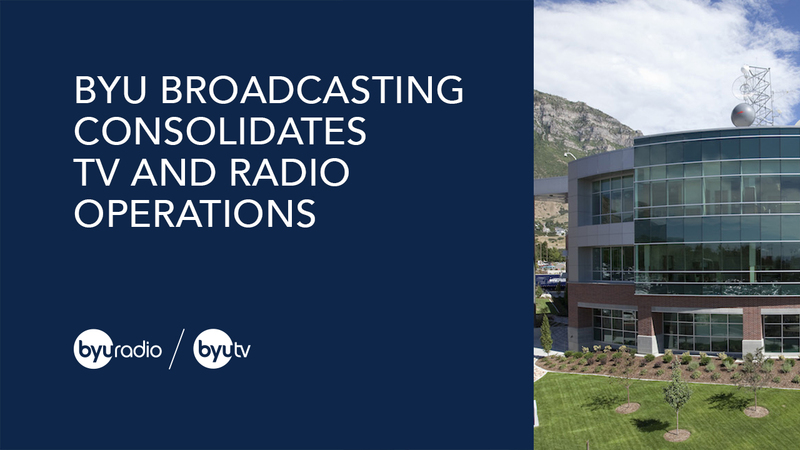 In addition to BYU Broadcasting’s offerings on traditional television and radio platforms, such as over-the-air, cable and satellite delivery, BYU Broadcasting has been a pioneer in digital delivery of its content. BYUtv was the first television network in the United States to stream all of its content live and unencrypted over the Internet. Today, BYUtv content is available live and on-demand on multiple digital platforms, including over the Internet, Apple TV, Roku, Amazon Fire, Chromecast, Xbox One, Windows Media and digital apps for iOS and Android. BYUradio is also available as a streaming audio channel on the Dish Network as well as www.tunein.com. BYUradio podcasts can be heard on iTunes, Stitcher, Tunein and Google Play. More information will be released in the near future concerning the details of this transition.